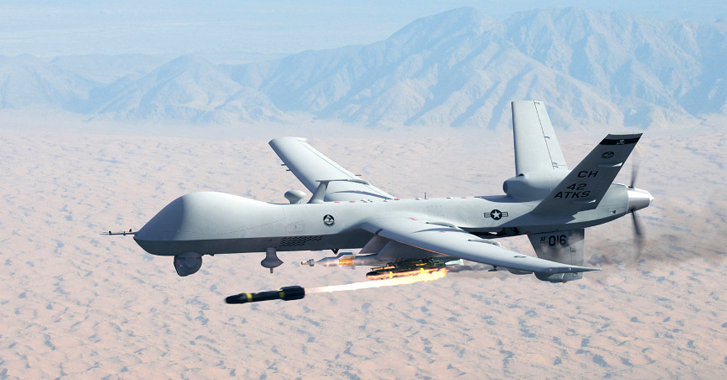 Drones also known as Unmanned Aerial Vehicles (UAVs) have contributed enormously by acting as an interface for conducting surveillance operations, or delivering products, or attacking a war site to name a few. We have seen Drones like 'Snoopy' that are capable to intercept data from your Smartphones, even without authentication or interaction, using spoofed wireless networks. The first U.S. state to get permission for flying drones with "less lethal weapons" is North Dakota. It now has the powers to grant permissions to the local police departments to attach weapons like: rubber bullets, pepper spray, tear gas, sound cannons, and tasers. Earlier, the law's author Rick Becker had restricted the police to get a warrant for conducting drone surveillance. However, the things didn't turn up his way as, an officer from the North Dakota Peace Officers Association Bruce Burkett, controlled things his way by getting the law amended for the drones to come equipped with lethal weapons. Drone laws play a significant role for the software and hardware developers in determining the product’s i.e. Drone's engineering for their specific use. Becker's concern was the security and privacy of citizens as the Drones are operated by a person showing the drone its destination like game controllers. Further, Becker said that when the weapons are already residing on the Drones, the attacker can escape from both the destruction and his contact with the target.